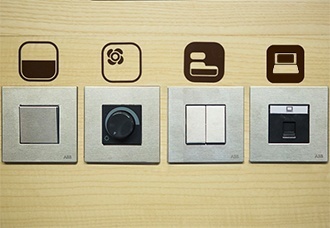 Sleepbox has always been synonymous with quality. This is not by accident but through our attitude to evolving perfection. The Sleepbox Grand Double does not fail to deliver and has an unfaltering attention to detail, and determination to perfect and passion. 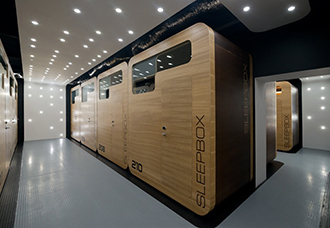 This innovation approach has led to the success that is clearly evident in the legendary Sleepbox Grand. The crème de la crème of all Sleepboxes. From its emphatic, curvaceous structure to its luxury and sumptuous interior, all features serve a purpose. The Sleepbox Grand Double is simply the perfect setting to kick back, relax and rejuvenate. The Sleepbox Grand Double has been specifically crafted for impact and scrutiny. 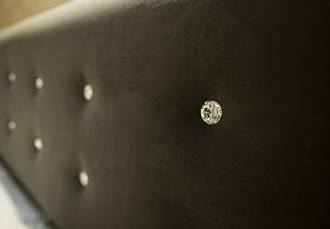 The tactile luxury velvet headboard, embodied with Swarovski Crystals for maximum impact and a premium finish. 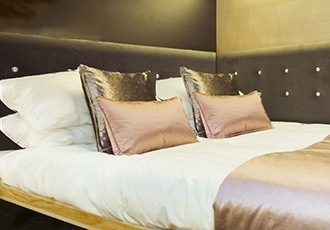 The dusty pink crushed velvet scatter cushions represent everything that is the Sleepbox Grand. 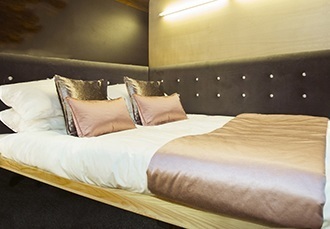 Relax down into the Sleepbox ‘signature’ double bed’. 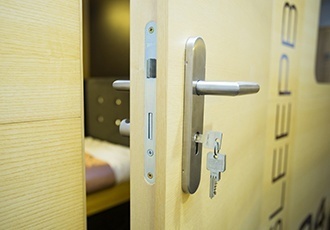 Kick off your shoes and escape from the hustle and bustle of the outside world into the tranquil environment that is the Sleepbox Grand. All preconceptions lost as you lose yourself. An experience not to be missed.